*DISCLAIMER*-- Senior year brings about different circumstances than previous experiences. For example, getting your own room for second semester. How and why? My roommate landed an awesome internship and future job in Orange City, and was able to move off-campus to be closer to that opportunity. I miss her dearly, but it's exciting to hear about all of her accomplishments. Anyways... enough disclaiming, time to continue with this post. Organization is a hard and incredibly unique experience for anybody; and definitely takes time to figure out your flow. So basically what I’m try to depict is that: What works for some, might not work for others. That being said, I just want to briefly outline what proved to be beneficial for my roommates and I during our four years at Dordt College. 1. Addressing the “ish”: Being organized is a perfect opportunity to format how you want to live as an individual. Like I mentioned earlier, organization techniques are going to look very different when comparing various styles. For some this might mean throwing clothes all over the place, leftover food on the desk, unmade bed, and so on; and others (like myself) prefer to have a room that is in complete order. I know I sound like crazy OCD, but I have found that a messy room results in a very lazy Mycah- who is unproductive and eats a bunch of junk food all day (this isn't necessarily bad either, but its not the best habit to make part of your daily routine haha). That being said, whichever version of organization is totally fine, because that is what works for YOU. Upon entering college, you fill out a housing request form; and normally when going through this process, you will have to answer the question: “On a scale of 1 to 10, how messy are you?” This my dear friends is awesome, because following the submission of this document, admissions will automatically solve one of the biggest issues you will ever face with your roommate-- What defines a clean room? The reason being is that, they will house you with individuals of similar living preferences and styles. However, as awesome as admissions is, that doesn't mean they are capable of removing all roommate conflict; especially when concerning your room’s appearance. As a result, if your roommate is living in a manner that is unsettling for you, I encourage you to be upfront and be willing to confront the issue— don’t live in complete frustration, it’s exhausting. With that, let me direct your attention to the picture above displaying my apartment's "Chore Board"-- this was a great way to ensure that everybody does their part in keeping our room clean. Each week we rotate tasks and as an athlete who is constantly gone, this process helps keep me accountable and makes cleaning the apartment way less overwhelming. 2. How I Organize: Okay... so what I have I done to get organized?? I had FUN. For example, since I don't really longboard any more, I used command strips to mount my longboard on the wall and than proceeded to hang a hat rack from it. This is not only a great way to display all your hats but it also removes the possibility for clutter. I also have a ton of shoes and not a lot of items that required shelf space; as a result I decided to use one of my bookshelves (that is actually holding up my bed too-- talk about multi-tasking) as a shoe-shelf. This is an awesome grab-and-go experience and allows you to replace your shoes right after you take them off. In the past I have also converted drawers into shoe containers and purchased large Tupperware that holds shoes and fits perfectly underneath my bed. In terms of closet space, the best way that I have found to fit all of my clothes and not lose any half way through the semester was to... wait for it... color code. I know it sounds stupid, but it has been extremely beneficial. I also rotate closets with seasons and keep my off-season clothes in massive Tupperware containers under my bed. For example, I make "sweater weather" a real thing. Around mid-October, I pack up all of my summer clothes and take out all of my boots, sweaters, winter coats, etc. out of storage. This process might sound like pain, but it's a huge space saver and it kind of feels like you are constantly getting a new closet every couple months. A plastic version of this (http://www.target.com/p/6-cube-organizer-shelf-white-room-essentials/-/A-15116839?regPage=CL&regType=COLLEGE)-- there is no need for wood it would just be a pain to store during the summer. Apartment: metal stands like the one shown above. We actually have two in our room: one on our bathroom counter which holds our toiletries and one in our shower to hold shampoo/soap bottles. I'm going to make this short and sweet: Find what you enjoy and center your room around it. I love water sports and bohemian patterns... and I think that is pretty evident when looking at my room haha. Yes, my wakeboard is hanging above my bed. My dad thought I was crazy when I decided to take that to college, but I wanted to prove to him that it is possible to mount a wakeboard with just command strips. 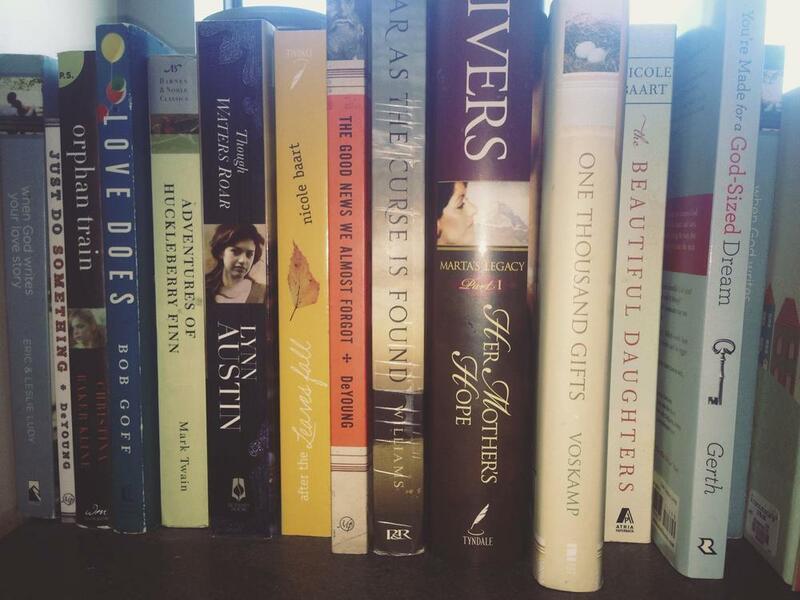 I also love displaying my inner-nerd by showing off my mini library in the windowsill. Some of my favorite things to decorate with are dried flowers, because they are incredibly unique, bring back a ton of sweet memories, and allow for your room to have an earthy feel to it. Fake flowers are always a good go to as well, because they don't make a mess and they are obviously timeless. That last contributor to my zen environment is my fan and you MUST BUY ONE. These magical, noise-blocking machines work wonders when trying to sleep-in on a Saturday morning--trust me... anybody at Dordt College would back me up on this one; especially since the walls in Kuyper are extremely thin. The worst thing about dorm rooms is how incredibly boring they are; however, what do you expect no college is going to personally paint each room to match the standards of the person living there for a year. That being said, its up to the individual to make these bare walls come alive with a collage of magazine photos, flags, paintings, posters, and blankets (Yes, my apartment might have a tiger blanket hanging on one of our walls... we wanted to hide the ugly thermostat LOL). The lighting in these rooms are also not the most enjoyable experience either. They are very intense and bright; and kind of make you feel like you are living in a hospital. SO what is our solution? Christmas lights! These things are the best and can make the coldest nights seem like your are on some tropical island in the Caribbean. The best time to buy them? Right after Christmas. All shapes, sizes, and colors are like a dollar-- talk about a penny saver! Have fun decorating your walls and don't spend a lot of money-- it's not worth the buck, because most likely these decorations won't continue after college. There is not much explaining to do here: Listen to the rules that are outlined by the cleaning ladies at the beginning of the year. Especially when it comes to the walls, because trust me, I have definitely learned my lesson from past experiences and its not fun paying the bill one year later. Look for ways to decorate while following the rules. For example, tacks and command strips are the best-- like I think you can even purchase these items Costco size, so whats stopping you?? Just a tiny warning, be careful with the command strips on painted drywall, because sometimes these adhesive squares like to pull off a massive piece of paint and that big chunk of white is not fun explaining to the cleaning ladies. Okay, so I know that was a lot and hopefully it gave you some fun ideas about what a dorm room could possibly look like. My final tip would be, just enjoy the experience of living in a dorm or apartment. Trust me, you are definitely going to have your ups and downs, but these moments make for some of the best memories. 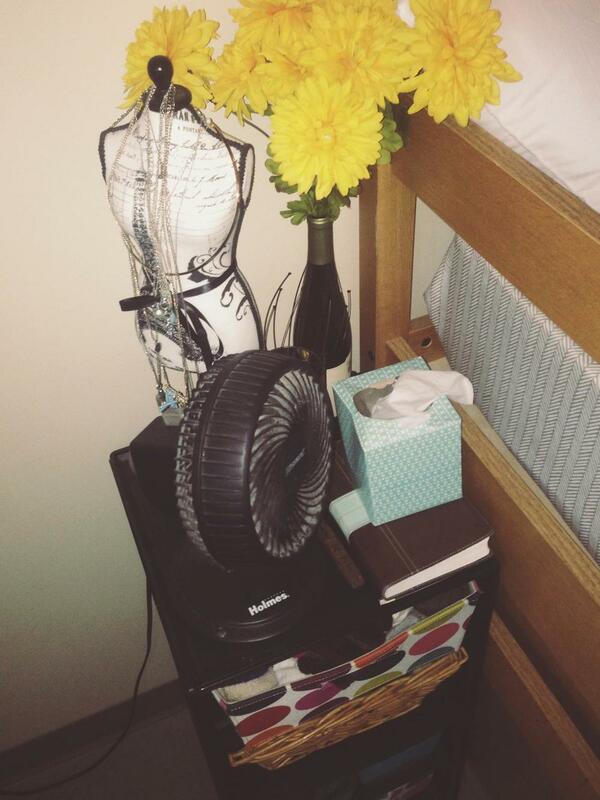 For all of you who are worried about being homesick-- make your dorm, your home. Bring stuff to college that makes this small room into a wonderful place that you are excited to return to after a long day at school.